Amazon expanded their publishing empire today with the launch of 4 new Kindle Worlds. The tech company announced today that they were opening up new opportunities for writers to contribute stories set in series created leading authors. Four romance authors are now inviting submissions from writers, including Barbara Freethy, Bella Andre, H.M. Ward, and Lucy Kevin. The authors aren't opening up worlds for new contributions so much as they are inviting new additions to existing series. That's a smart move; I'm not sure readers would accept a character whose voice, behavior, and beliefs changed from one book to the next (I certainly wouldn't be satisfied). But additions to a series of books, each with a different lead character, is more likely to be accepted by discerning readers. 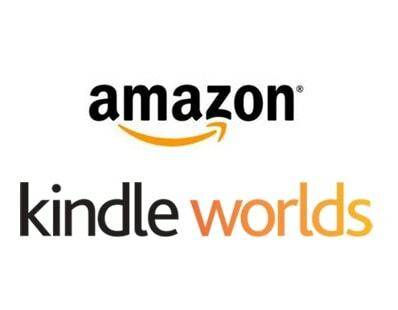 Initially launched in May 2013 under the cover of publishing fanfiction, Kindle Worlds is one of Amazon's numerous publishing imprints. It focuses on short works set in licensed worlds - 26, at last count. Amazon's Kindle World publishing partners include tv shows like Veronica Mars, WB's Vampire Diaries, and Pretty Little Liars, comic books like Valiant Comics' Harbinger and Archer & Armstrong, and books like the Foreword Saga, and more. Priced between deer nuts and $3.99, a Kindle Worlds ebook is intended to be a quick read. Amazon hasn't revealed how many copies have sold or the revenue generated. I sure hope the authors of these new worlds will receive better treatment than those of us in the G.I. Joe Kindle World have received. I’ve got no problems with getting the books published or seen in their categories, the problem is the covers. Unlike most KW, with the G.I. Joe world you can’t upload a cover, you have to rely on the cover creator that Amazon provides. If you want to know how bad it is, look at some of these covers (link below). It’s clear authors are protesting the only way they can, by using bland covers. I’ve tried to email the KW managers and I know other authors have as well. Obviously they’ve spent most of their time recruiting new authors for new worlds. That’s fine, and there’s no reason KW shouldn’t try to get talented authors like those women listed above. I know that those women would demand that authors writing in their worlds would get the best tools to put out the best possible product. Sadly, Amazon doesn’t feel that’s important with the G.I. Joe world and this should change. I can’t help but think the level of “service” I’ve received from KW is indicative of what Amazon will give to all authors once Hattchete and a few other firms are out of the way.